This BM facial is also suitable for sensitive skin. Not only does it eliminate impurities, excessive greasiness, and makeup, but the daily use of facial cleanser is an essiential gesture to the beauty of skin. 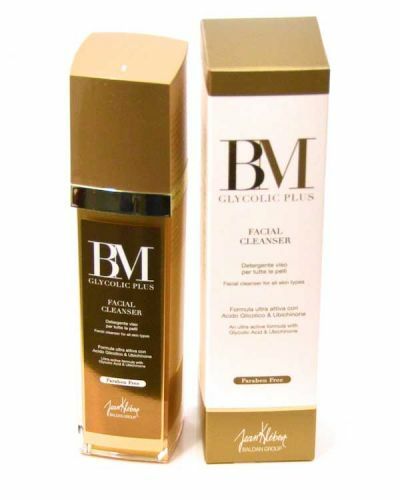 Bm Facial Cleanser gently exfoliates the superficial cells, leaving the skin soft and bright, ready to receive the specific BM Glycolic Plus. i like this cleanser as i have sensitive skin - it does leave your skin feeling so much softer and i now combine it afterwards with the Vit A facial lotion - not the cheapest but it does work!